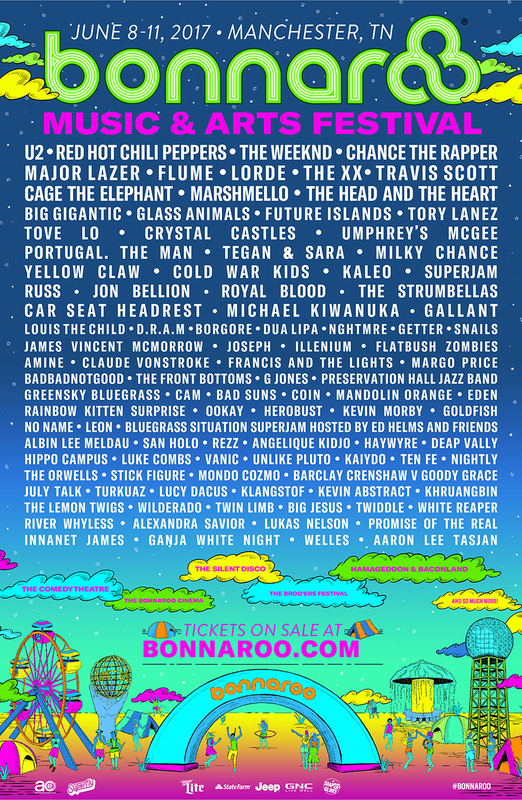 Bonnaroo Music and Arts Festival has announced its 2017 lineup today, and it features names like music legends U2, the Red Hot Chili Peppers, Chance the Rapper, Flume, Tove Lo, Cold War Kids, Tegan and Sara, Jon Bellion, Claude Vonstroke (and alter ego Barclay Crenshaw), Goldfish, Rezz, and The Strumbellas! The Bonnaroo Music and Arts Festival is four-day music festival developed and produced by Superfly Presents and AC Entertainment. Bonnaroo was largely influenced by the art rock concerts of the late 1960s and early 1970s and since its first year in 2002 the lineup has had a focus on jam bands and folk rock but has branched out in recent years to include a variety of genres. Bonnaroo’s 2017 lineup includes not only great indie artists but rock legends, electronic music greats, rappers and top 40 hitmakers. Also joining Bonnaroo for the first time is pop hitmaker and feminist singer Lorde who’s inclusion near the top of the lineup Farmer believes shows Bonnaroo’s ability to have a multi- genre and varied lineup. “I think it’s important for us to have all sorts of diversity,” he says. 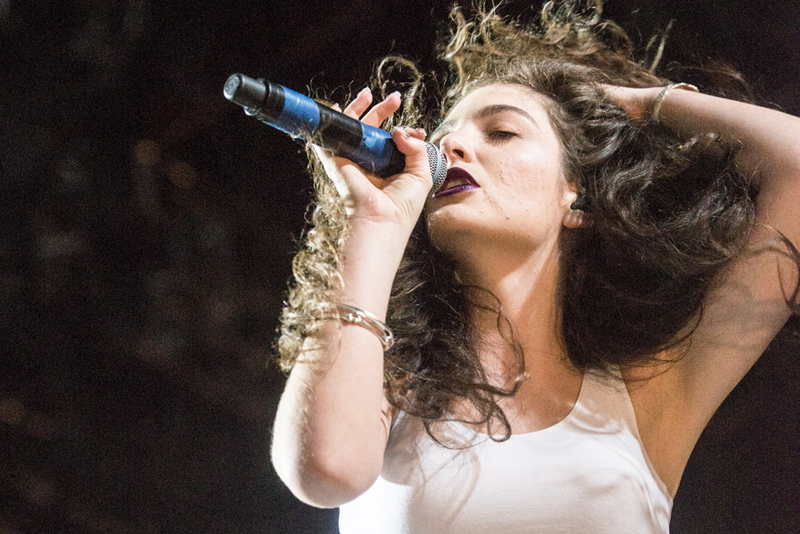 “And certainly having a female artist as strong as [Lorde] near the top of the bill is something that’s attractive to us.” The Weeknd is another artist to make his first Bonnaroo appearance while the Red Hot Chili Peppers are returning to Bonnaroo for the first time since 2012 in support of their new album, The Getaway. One part of the lineup that is still a mystery is the theme and artists that will be chosen for the festival’s annual Superjam. Each year a theme is chosen and a select group of artists are brought together to cover some classic songs in one big “Superjam”. Last year, in honor of their 15th anniversary, Bonnaroo paid homage to the festival’s home state of Tennessee. The Superjam (aptly named the Heart, Soul & Spirit: A Tribute to Tennessee) featured jazz musician Kamasi Washington as bandleader while artist Miguel paid tribute to Tennesee native Justin Timberlake by covering “SexyBack”. Michelle Williams performed a cover of Earth, Wind & Fire’s while Third Eye Blind’s lead singer Stephan Jenkins covered Johnny Cash. While the theme is yet to be announced what is certain is that the Superjam 2017 whill have an incredible group of artists to pick from and should be something to look forward too! Last year’s festival featured Ween, LCD Soundsystem and Ellie Goulding, among many other top-flight artists.